Counting, weighing, packaging – that is the core of PAXMATIC®. Thanks to our 40 years’ experience in foil packaging and feeding systems, we are able to provide comprehensive concept development and user-oriented software engineering. The outstanding team-work of our longtime employees with their well-founded knowledge in the field of mechanical engineering coupled with their pleasure of finding and providing well-thought-out individual solutions complement the basis of our ability to provide these high quality standards. That is why every PAXMATIC® solution is individual. At the same time we follow firm principles: Customer orientation, precision and quality, which are based on our enjoyment to design innovative, sometimes even unusual technical solutions and on the personal support of our customers. 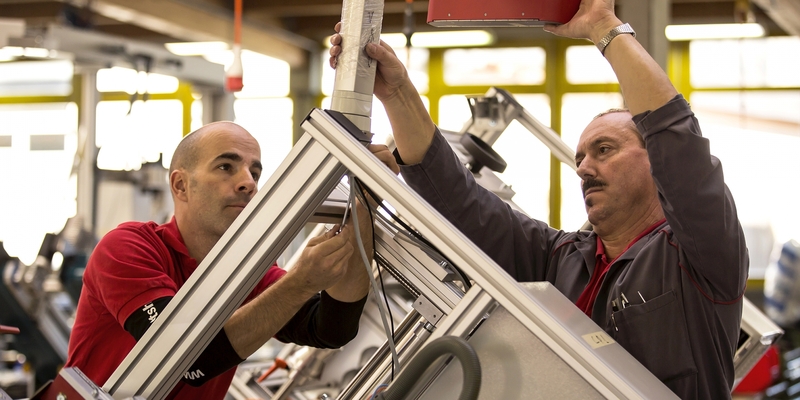 Worldwide, approximately 2.000 PAXMATIC® facilities can be found in various industries such as furniture, toy or automotive as well as in medical technology, electrical engineering and in polymer or metal processing sector. Founded in 1890, PAXMATIC® is one of the leading providers. Experienced engineers and technicians vouch for substantial constructions with long lifetimes in the proverbial SWISS QUALITY.